N Chandrababu Naidu-led Telugu Desam Party (TDP) on Friday formally decided to exit the Bharatiya Janata Party (BJP)-led National Democratic Alliance (NDA), days after two of its ministers quit the Narendra Modi government protesting the denial of a special-category status to Andhra Pradesh. Further, the TDP moved a no-confidence motion against the Modi government over what it sees as injustice meted out to Andhra Pradesh. The decision to pull out of the NDA was taken after Chandrababu Naidu’s teleconference with TDP members. TDP’s politburo unanimously took the decision to exit the alliance. The Telugu Desam Parliamentary Party also issued the notice to move a no-trust motion on Friday. TDP’s pullout comes on a day when its rival in the state, the Y S Jagnamohan Reddy-led Yuvajana Shramika Rythu Congress Party (YSR Congress), moved a motion of no-confidence against the council of ministers in the Lok Sabha. On March 8, after a meeting with Prime Minister Narendra Modi regarding the AP Reorganisation Act, 2014, the TDP’s Union ministers — P Ashok Gajapati Raju and Y S Chowdary — had quit the Cabinet. Raju had held the Union civil aviation ministry while Chowdary was the Minister of State for Science and Technology. With the decision made, the TDP will write to BJP President Amit Shah and the other constituents of the NDA, informing them of its decision and the reasons for it, a TDP communique added. The decision comes against the backdrop of the Centre not only refusing to grant a special-category status to Andhra Pradesh, but Union Finance Minister Arun Jaitley going on to categorically rule out any such possibility. The TDP politburo unanimously took the decision to walk out of the alliance during a teleconference with party supremo and Andhra Pradesh Chief Minister N Chandrababu Naidu on Friday morning. 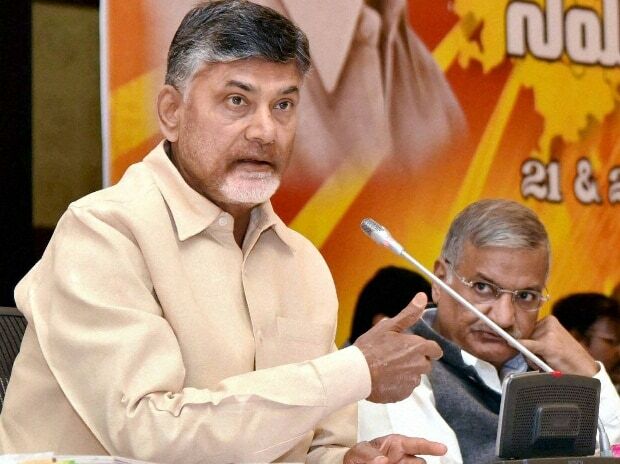 While the party politburo meeting to decide about snapping ties with the NDA was planned for Friday evening, the formality was completed during the daily teleconference Chandrababu holds with party leaders in the morning. 2) TDP moves no-confidence motion against Modi govt: The TDP on Friday moved a no-confidence motion against the Modi government over what it sees as injustice meted out to Andhra Pradesh over the special-status category demand.